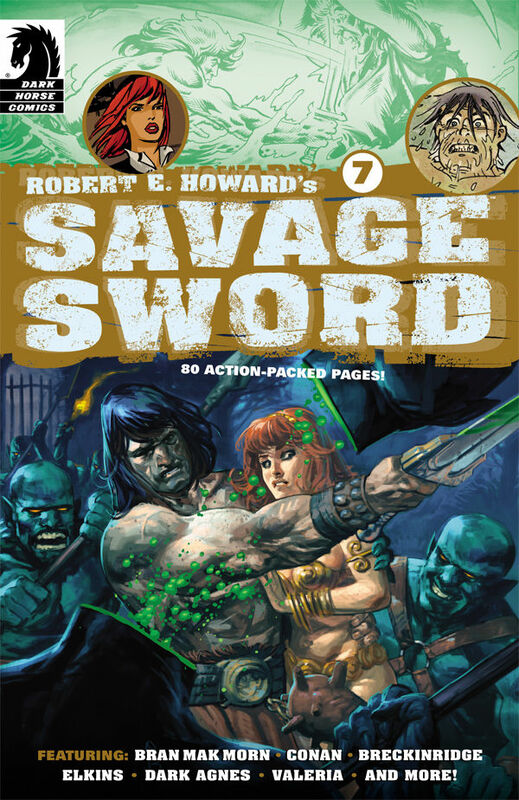 The third and final installment of the origin of the sword woman Dark Agnes appears in Issue #7 of Robert E. Howard’s Savage Sword out January 29th. 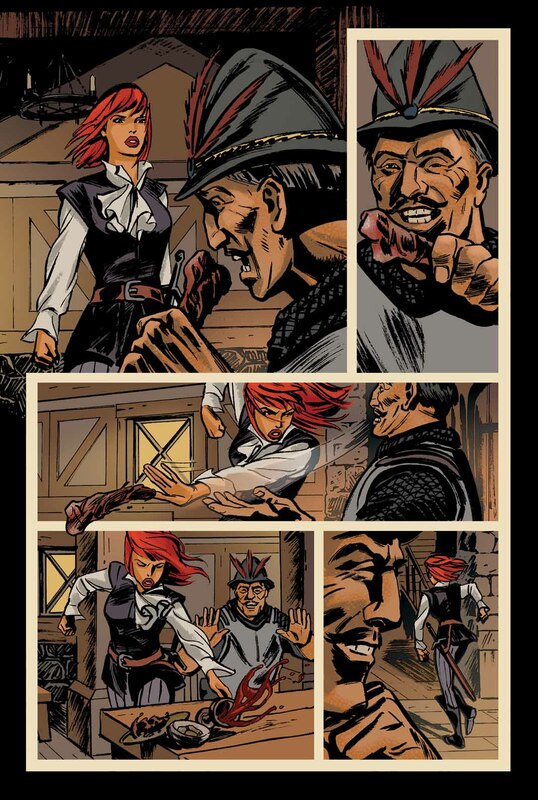 You can preview pages from the 80 page giant at DarkHorse.com. 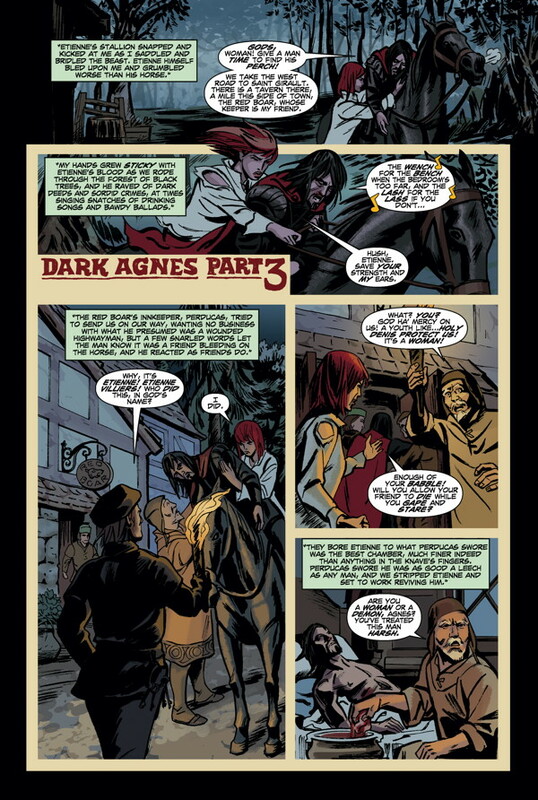 The Dark Agnes story is adapted by Paul Tobin and illustrated by me. 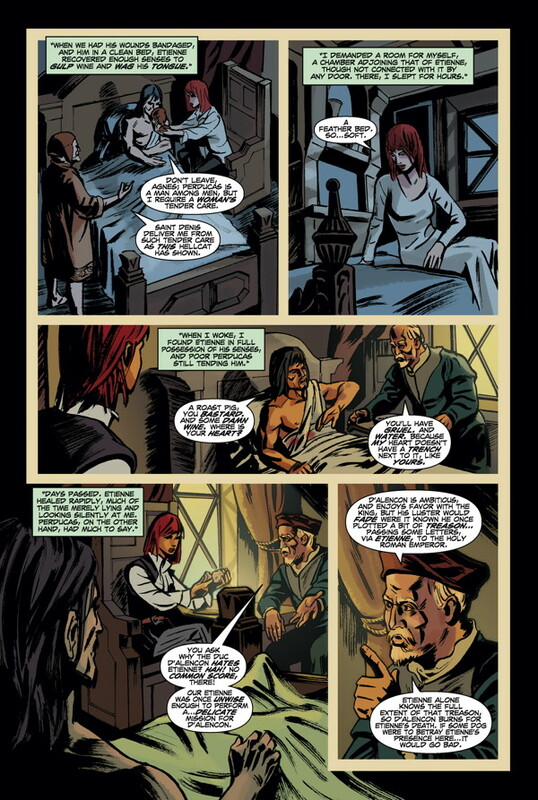 Below are the 2 preview pages along with a bonus teaser page (no letters). I hope to post some of my sketches for this installment in the coming week, so please check back. Also, I’ll be attending Wizard World here in Portland next Friday (Jan. 24th), and on Sunday I’ll be a doing a signing with a special promotion. I’ll provide the details when I have confirmation. Another reason to check back.